Have you taken part in one of the fantastic CRAFTfest online events? Join us using the form below and receive an annual �10 discount. 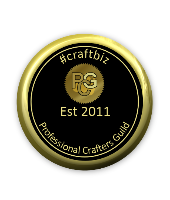 The basics about CRAFTfest are that we help you to market your business and if needed show you how to use the online social media sites to increase your following and footfall. We offer a fabulous, friendly community of like minded people who all work together to learn new skills and promote each other. A good tip is to join our events early to make the most of marketing as we will running workshops and tutorials throughout the build up. Don’t worry if you are a total newcomer to social media as we are here to help you every step of the way. For more experienced networkers and returnees we will add new platforms to learn and explore. Our event weekend is a culmination of everything learnt and lots of fun when everyone taking part is around and doing activities at the same time. We have been running events in the UK since 2010 and most of our CRAFTfesters return to us each time.